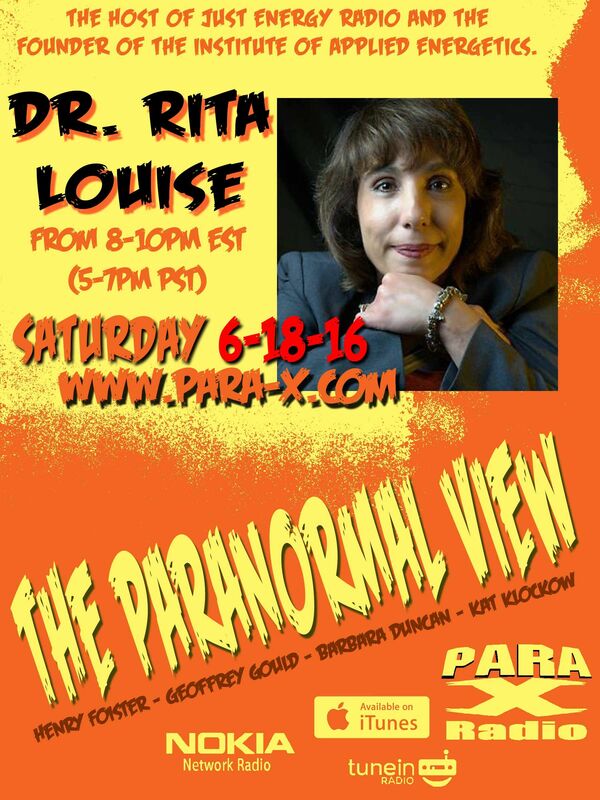 With Kat away at an event this evening, tonight's returning guest was four-time author Dr. Rita Louise. Henry had her discuss various aspects of reincarnation, using the movies K-Pax and the far lesser known Mr. Brooks as examples of Attachments and Attached Entities. We got into the philosophy of pre-choosing to live out different aspects of life experiences. Ceiling Cat Barbara Duncan pointed out one of Neil DeGrasse Tyson quantum posits on energy states. Dr. Rita spoke about the irony of people believing in god/s, but "not" ghosts. She had studied into that, and realized one of the earliest references to ghost was in the Gilgamesh saga. Dr. Rita spoke of documented reincarnation, such as the boy who recalled being a WWII pilot in his previous life. Switching to UFOs, Dr. Rita spoke of her investigations and research into the Reptilians, Giants, and various aspects of the Mythic Record. She touched on cultural variations of dancing leads to ecstatic states, even wondering why some early cultures chose to manually elongate the skulls of their young. Henry asked about the Bad Kids of the Spirit World, regarding her Attached Entities documentary. CC segued regarding Dr. Rita's Dark Angels: An Insider's Guide to Ghosts, Spirits and Attached Entities book. We discussed haunted dolls such as Robert and Annabelle. The Doctor worked with one doll that was extremely creepy, communicating "I've got a secret" in a sing-song voice. When the Doctor conveyed the tune to the girl's mother, the mother gaped, "She sings that to me all the time!" This was usually before the six year old daughter, under the doll's influence, would stab the mother with a fork. Varous aspects and level of Protection was discussed.